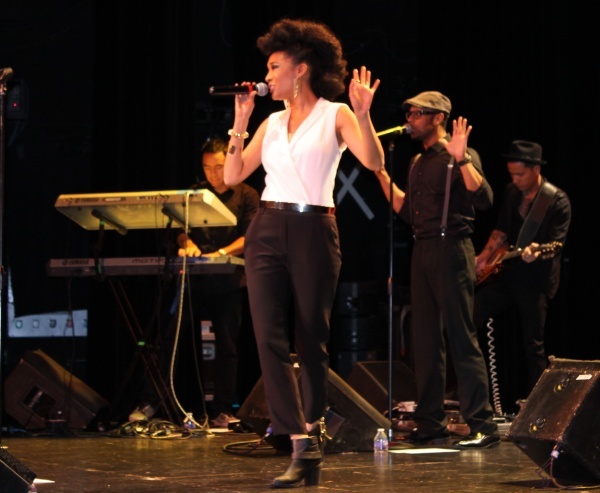 Judith Hill performed at the State Theatre this past Friday night. Hill is a young budding talent from the hit Television show The Voice. She was also set to tour as a back up singer on Michael Jackson’s final tour before he passed. She is currently touring as the opener for Josh Groban’s tour, but headlined the show at the State Theatre. If you missed out, here’s a recap. Opening for Judith was local celebrity Jason Olcese, also known as the lead singer of My Hero Zero. He performed for about an hour, where he showcased his diverse talent with multiple instruments. 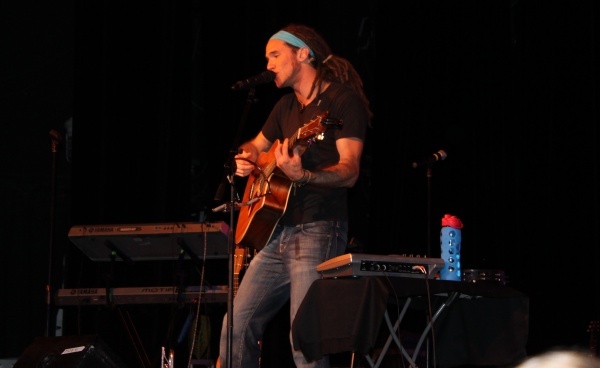 Ranging from guitar to trumpet, where he really shines is his expertise with a loop pedal. A loop pedal allows the musician to record a few seconds of a drum beat, guitar riff, or vocal run, and loop it over and over and sing and play along with it, creating layers in the sound. Olcese used this over and over in his set, including the cleverly-named jam, “Sir Loops A Lot”. Along with some soulful originals, he played a few unique covers, including a slowed down, blues-y version of “Brown Eyed Girl”. After Jason left the stage, the audience was curious to see how Judith Hill would measure up to the intimate performance. She surely did not disappoint. She started out her set with hauntingly beautiful a cappella version of “Feeling Good”. She then brought out her backup band, along with two male singers. The great thing about her set was she didn’t fit into one single genre slot, every song had a different feel and sound. Her original song, “Beautiful Life” a heart wrenching ballad, was performed without her band, where as “My People”, a bass bumping hybrid of blues and hip-hop, had the whole crowd dancing in their seats. One of the favored parts of the night was when she talked about her time spent with the legendary Michael Jackson. Hill told the audience how he inspired her and she always likes to sing a song of his to remind herself of that time she had with him. As a result, she performed a powerful and fun cover of “The Way You Make Me Feel”, and the crowd went crazy. Friday night was a great night for any music fan present. Both Jason and Judith had original sets and their stage presence was so different from the other’s, yet warm and inviting. The talent emanating from the State Theatre that night was ridiculous and a night that the audience will remember. For more upcoming shows make sure to check State In The Real for all your local music needs!